Protection Feature: With its anti-scratch feature, the case keeps your device protected from scratches caused by interaction with rough or sharp objects. 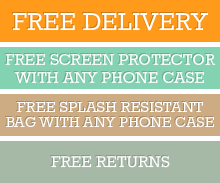 Damages from drops and slips won't happen to your phone as it is protected by the case's shockproof feature. Its anti-slip feature gives you a better grip on your device and saves you from dropping it accidentally. Material: The Black case is made from non-toxic, high-quality TPU material. The sturdiness and flexibility of the material enables the case to withstand the fatigue of everyday use and allows it to maintain its shape over time. Design: Made with high-quality materials, the Black phone case is fashionable with its minimalist design. Its carbon-fiber brushed texture gives off a sophisticated vibe, matching all your outfits, both formal and casual wear. With its super light build, the case doesn't add any bulk to your phone, making it easy to carry anywhere you go. Click the button below to add the iPhone XS Max Case Black Brushed Texture Carbon Fiber Shockproof TPU Protective Back Cover to your wish list.